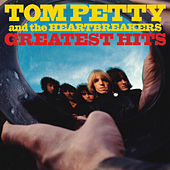 Greatest Hits is an overview of Tom Petty and the Heartbreakers' most productive and successful stretch as a hit-producing machine: 1977 to '93. This collection makes the argument for Petty and company being America's last great classic rock act. All the genre's fundamentals are here: West Coast jangle, country twang, British Invasion-inspired hooks and edgy riffage. Released in time for the 1993 holiday market, Greatest Hits also boasted two then-exclusive tracks: a sublime cover of Thunderclap Newman's "Something in the Air" and the Beatles-inspired "Mary Jane's Last Dance."